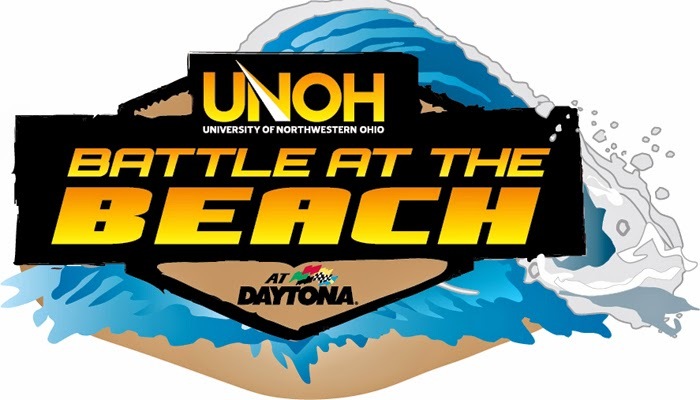 The UNOH Battle At The Beach will not return to Dyatona International Speedway in 2015. DIS President Joie Chitwood III ended months of speculation today, confirming that the “World Center Of Racing” will not host the event next season, as a result of its ongoing DAYTONA Rising reconstruction project. “After much consideration, Daytona International Speedway will not host any future UNOH Battle At The Beach events,” said Chitwood. “For the past two years, the UNOH Battle At the Beach has produced thrilling racing on our backstretch. It was necessary for us to make this difficult decision given that we will open 40,000 new seats during Budweiser Speedweeks 2015 as part of the DAYTONA Rising redevelopment project and will remove the backstretch grandstands prior to 2016 racing season. NASCAR Vice President of Regional and Touring Series George Silbermann also commented on the decision, saying, “The UNOH Battle at the Beach provided NASCAR’s stars of tomorrow an excellent opportunity to participate at The World Center of Racing, but it isn’t feasible to continue the event given the progress with the DAYTONA Rising project. Richard Childress Racing has hired Mike Hillman, Jr. to crew chief their No. 2 Chevrolet Camaro team with driver Brian Scott in the NASCAR XFINITY Series. 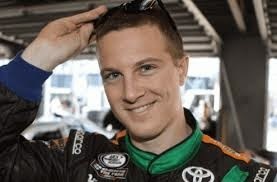 Hillman, Jr, 36, comes to RCR with 20 NASCAR Camping World Truck Series victories and two series championships. Through 235 NCWTS starts he has also earned 93 top-five and 132 top-10 finishes, including 17 pole awards. The Lockport, N.Y. native joins RCR and the No. 2 Chevrolet team effective immediately. "This is a great opportunity for a guy like me to become part of RCR and the No. 2 Chevrolet team," Hillman, Jr. said. "When we first talked about this position, I knew this was something I wanted to do and RCR is known for their storied success at every level in NASCAR. "Brian Scott is a talented driver who is coming off the best season of his career. He and I share the same goals - wanting to win multiple races and ultimately the XFINITY Series championship. With the team they already have in place, I am confident we will achieve our goals." This will be Scott's third year with RCR in the XFINITY Series. During that time, the 26-year-old driver has earned four pole awards, nine top-five and 36 top-10 finishes. He's coming off his best season with a final driver points standing of fourth place. "I look forward to building on what we have achieved the past two seasons with RCR," Scott said. "Mike Hillman, Jr. is an excellent addition to our No. 2 Chevrolet team and has a proven track record of success and experience. I am more than confident he will take our team to victory lane and race for a championship. "We already have a great nucleus of people on our team and our XFINITY program is strong from top-to-bottom. With the momentum we had at the end of this past season, I feel confident about our 2015 hopes." Hillman, Jr., will report to Dr. Eric Warren, Director of Competition, for RCR. "When we started our search for a new crew chief on the No. 2 team, the name that kept coming up the most was Mike Hillman, Jr.," Warren said. "He has a proven track record and everything he's worked and team he's led has been fast. We welcome him aboard and look forward to him, Brian and the rest of the team taking what they did this year to the next level." The slogan is recognized around the world. What happens in Vegas stays in Vegas. But NASCAR will make an exception on Dec. 5 when it gives audiences a front row seat as Jay Mohr, Lady Antebellum, Aloe Blacc and Lennon and Maisy take the stage at the 2014 NASCAR Sprint Cup Series Awards show from the Wynn Las Vegas live on FOX Sports 1. This year, the NASCAR Sprint Cup Series Awards will honor 2014 NASCAR Sprint Cup Series champion Kevin Harvick, as well as celebrate the other Chase for the NASCAR Sprint Cup™ Challengers. FOX Sports 1 will provide coverage of the NASCAR Sprint Cup Series Awards beginning at 9 p.m. ET. Motor Racing Network and SiriusXM NASCAR Radio will begin coverage at 8 p.m. ET. Mohr will serve as the host for the second consecutive year. The actor, comedian, radio host and best-selling author has one of the most expansive backgrounds in show business. After landing his dream job at “Saturday Night Live” and launching his career in film alongside Tom Cruise in “Jerry Maguire,” Mohr appeared in approximately 200 network television episodes and more than 25 feature films. 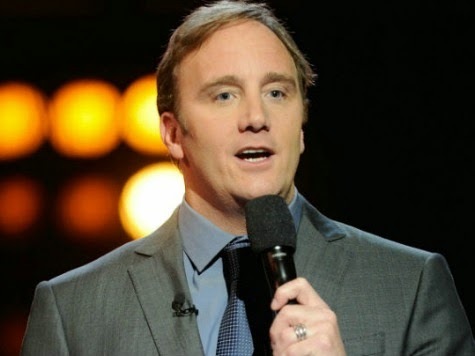 Additionally, his national radio show, “Jay Mohr Sports,” is syndicated in more than 155 markets across the U.S. With a career in entertainment that spans over three decades, Mohr has become an artist who knows no limits, making him the perfect person to help celebrate NASCAR’s most prominent drivers. Keeping his NASCAR performance streak rolling following his act at NASCAR’s season-opening, crown jewel event the 2014 DAYTONA 500 at Daytona International Speedway, Blacc will kick off the musical entertainment for the night with the soulful selection that has “woken up” audiences around the world. The singer / songwriter collaborated as vocalist and co-writer on well-known DJ/producer Avicci’s 2013 track “Wake Me Up,” which topped the charts in more than 100 countries across the globe, before releasing his third album “Lift Your Spirit” in March 2014. The rapper-turned-singer uses his surging popularity to affect social change and to deliver messages of positivity and passion. 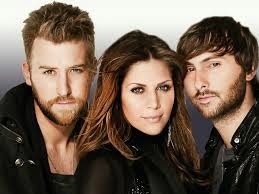 Later in the evening, the seven-time GRAMMY Award winning trio Lady Antebellum will keep the audience rocking with a new song from their fifth album entitled “747.” The 11-song disc has already spawned the PLATINUM certified multi-week chart-topping smash hit “Bartender,” and its new single “Freestyle” is quickly climbing the charts. The new album follows over 11 million albums sold worldwide, nine trips to No. 1 on the country radio charts, six Platinum singles and “Vocal Group of the Year” honors from both the CMA and ACMs three years in a row. Lady Antebellum just wrapped their headlining “TAKE ME DOWNTOWN TOUR,” which hit 80 cities in Canada and the U.S. over the course of the year, and delighted both fans and critics with the “Dallas Morning News” declaring, "Lady Antebellum shows off its warranted leap to superstardom." For more information visit: www.ladyantebellum.com. Additionally, 15-year-old Lennon Stella and her 10-year-old sister Maisy Stella from ABC’s hit drama “Nashville” will perform. The daughters of the recording duo Brad and MaryLynne Stella, Lennon and Maisy’s musical roots run deep. In 2013, the sisters had a show-stopping performance of “Ho Hey” by The Lumineers on “Nashville,” which quickly entered the top 40 of Billboard’s “Hot Country Songs” list. Later that same year, Lennon and Maisy performed at the CMA Awards™ and presented Taylor Swift with her Pinnacle award. They also performed at The White House this year and sang alongside cast members from “Degrassi,” Magic Johnson, Martin Sheen, The Band Perry, and J.R. Martinez at “We Day Minnesota” last month. This year’s talent will join the esteemed list of NASCAR Sprint Cup Series Awards show artists from previous years, which include chart-topping singers, such as John Mellencamp, Phillip Phillips, Sara Bareilles, Dierks Bentley and Kid Rock. Two-time NASCAR Champion Austin Dillon will return to the NASCAR XFINITY Series with Rheem Manufacturing Company as primary sponsor on Richard Childress Racing's No. 33 Chevrolet for a majority of the 2015 season. Dillon, the 2013 XFINITY Series Champion, will drive the No. 33 Rheem Chevrolet under the RCR banner during the 2015 season while maintaining a full schedule in RCR's No. 3 Chevrolet SS in the NASCAR Sprint Cup Series. He is a two-time XFINITY Series race winner, 10-time pole winner and holds the record for most consecutive poles in series history. "Rheem is pleased to continue our long association with Richard Childress and his legendary racing organization," said JR Jones, Rheem President and CEO. 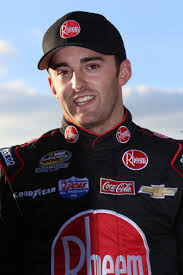 "We are looking forward to working with RCR and Austin Dillon again in 2015. Austin has won championships in both the Camping World Truck and XFINITY Series and we are confident he will put Rheem back in the winner's circle again in 2015. As a longtime sponsor in NASCAR, Rheem has been proud to be a part of racing's history and we look forward to being a part of its future." Rheem Manufacturing Company has a long history of success with RCR having participated as a primary or associate sponsor since 2007 in various NASCAR series. Rheem has been the official heating, cooling and water heating provider to RCR for more than eight years and was the co-primary sponsor with Realtree of Ty Dillon's Sprint Cup Series debut this year at Atlanta Motor Speedway. "Rheem has a long tradition of reliability and quality in their industry with close to 90 years in the business," said Dillon. "My family has a long tradition in NASCAR and we also have a tradition of reliability and performance. I enjoy racing in the XFINITY Series and will be proud to represent Rheem while contending for wins on Saturday afternoons in 2015." RCR also provided race trucks and ECR power to support Rheem-sponsored drivers and entries in the NASCAR Camping World Truck Series fielded by various teams in 2014. "The association with Rheem has been a great one for all of us at RCR," said Richard Childress, Chairman and CEO of Richard Childress Racing. "Rheem's focus on providing their customers with reliable and innovative comfort solutions is similar to how RCR likes to approach our business. We both represent quality, durability and overall performance. Rheem's longstanding support of RCR and our sport are appreciated by everyone on our team." 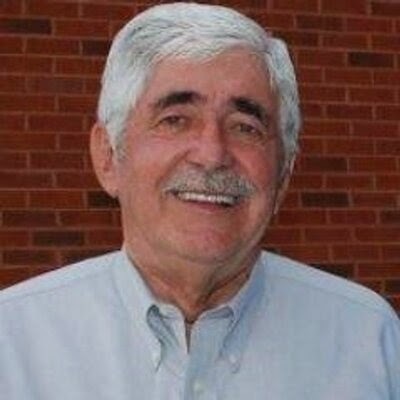 NASCAR is in mourning today, following the sudden and unexpected passing of veteran public relations representative Denny Darnell near his home in Tennessee Saturday. A graduate of East Tennessee State University, Darnell began his career as a sportswriter at the Kingsport (Tenn.) Times-News. At various points, he served as general manager at Bristol Motor Speedway, director of communications for the National Hot Rod Association, head of motorsports public relations for R.J. Reynolds Tobacco Company during Winston’s long run as entitlement sponsor of NASCAR’s premier stock car racing series and PR spokesman for Dodge. Dozens of rookie PR reps -- and more than a few greenhorn reporters -- learned the business of motorsports from Denny. His easygoing, southern charm combined with fierce attention to detail and an encyclopedic knowledge of the sport to make him the go-to guy in the NASCAR garage. He had an uncanny knack for keeping his head when all around him were losing theirs, and in an era when PR types often gauge their effectiveness by counting how many times they say “no” in a 24-hour period, Darnell was truly a breed apart. As word of his passing spread Saturday, Darnell was universally recalled as the best in the business at what he did, and one of the most respected individuals in the sport. 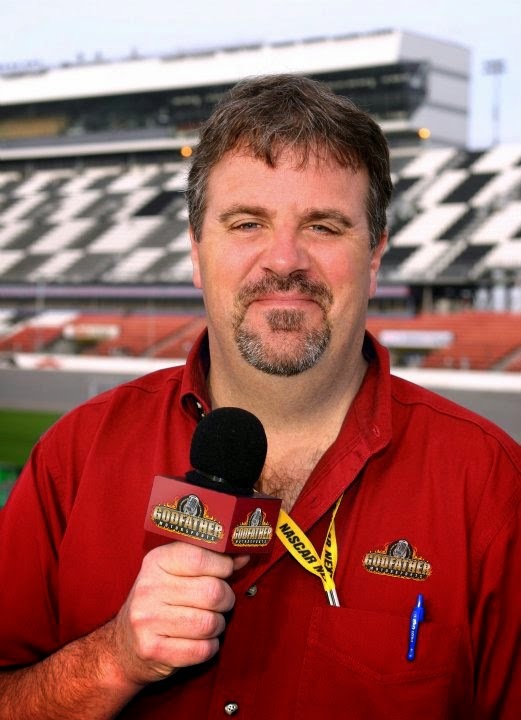 "Denny was a familiar and friendly face in media centers and NASCAR garages throughout the country,” recalled NASCAR Senior Vice President and Chief Communications Officer Brett Jewkes. 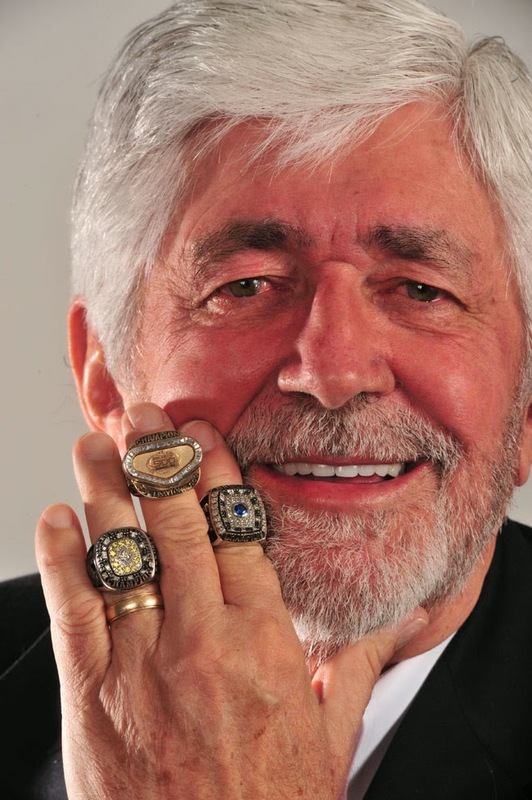 "He approached his job seriously and professionally, but few could bring laughter like Denny. He was a public relations institution, and will be greatly missed." "Shocked to hear about Denny Darnell,” Tweeted NASCAR Hall of Famer Darrell Waltrip. “One of the nicest guys that's ever been in racing, he'll be missed. Go rest high on that mountain, Denny,"
Like any professional sport, NASCAR has its share of egotists, self-promoters, backbiters and con artists. Through it all, though, I cannot recall anyone – not a single, solitary soul -- who didn’t love Denny Darnell. He was a great PR man. Better still, he was a great man. Farewell, old friend, until we meet again. Roush Fenway Racing’s No. 17 team that competes in the NASCAR Sprint Cup Series has been penalized for a rules infraction discovered during pre-qualifying inspection Nov. 14 at Homestead-Miami Speedway. Violations resulting in P3 penalties tend to fall between serious and intermediate in nature. While they might include general “categories” of infractions similar to those in P4 (e.g. unauthorized parts; failing to meet specs; etc. ), they tend to pertain more to secondary componentry or systems; modifications of lessor significance; go/no-go measurement failures of an intermediate nature. This infraction violates Sections 12-1 - Actions detrimental to stock car racing and 20-12 – Suspension: All front end and rear suspension mounts and mounting hardware must not allow movement or realignment of any suspension/drive line component beyond normal rotation or suspension/drive line travel. As a result of these violations, crew chief Mike Kelley has been fined $50,000 and placed on NASCAR probation for six months, starting Jan. 1, 2015 through June 30, 2015. Additionally, car chief Patrick Magee has also been placed on NASCAR probation for six months starting Jan. 1, 2015 through June 30, 2015. Watkins Glen International and the Kellogg Company have announced Cheez-It has renewed as the title sponsor of The Glen’s NASCAR Sprint Cup Series race. WGI’s marquee event, Cheez-It 355 at The Glen returns August 6-9. This will be the company’s third-consecutive year as the race’s entitlement sponsor, while the iconic snack brand’s parent company, the Kellogg Company, has been involved with NASCAR since 1991. 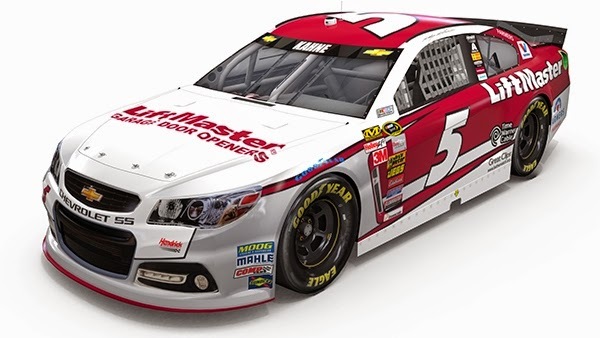 LiftMaster garage door openers will join 11-time Sprint Cup Series champion Hendrick Motorsports beginning with the 2015 NASCAR season, when it will become a primary sponsor of driver Kasey Kahne and his No. 5 Chevrolet SS team. The new relationship will feature LiftMaster, which is headquartered in Elmhurst, Illinois, as a primary sponsor in three Sprint Cup races annually and as an associate-level partner in all other events. The agreement covers the 2015, 2016 and 2017 NASCAR seasons. In 2015, the No. 5 LiftMaster Chevrolet SS will appear in Sprint Cup Series races May 24 at Charlotte Motor Speedway, July 11 at Kentucky Speedway and Oct. 18 at Kansas Speedway. Since joining Hendrick Motorsports in 2012, Kahne, 34, has earned at least one victory each season while securing three consecutive Chase for the NASCAR Sprint Cup berths. The Enumclaw, Washington, native has 17 career wins in NASCAR’s top division, including five in three full seasons with the No. 5 team. Hendrick Motorsports and Kasey Kahne have agreed to a three-year contract extension that will keep the driver with the No. 5 Chevrolet SS team through the end of the 2018 NASCAR Sprint Cup Series season. Kahne, 34, originally signed with Hendrick Motorsports in April 2010 and officially joined the team’s four-car stable for the 2012 season. Over the past three years (2012-14), he ranks among the top-10 drivers in Sprint Cup wins (5), pole positions (4), top-five finishes (26) and laps led (1,177). The Enumclaw, Washington, native has 17 career wins in NASCAR’s top division. 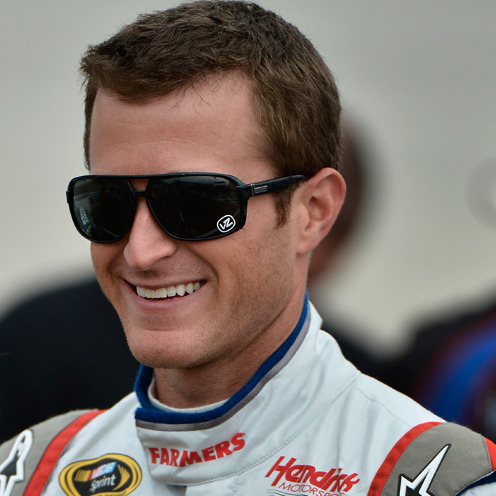 Kahne’s contract with Hendrick Motorsports was set to expire following the 2015 NASCAR season. Tyler Walker’s endless romp through the American legal system continued today, as the former NASCAR and open wheel Sprint Car driver’s adjudication hearing was postponed for the 13th time. 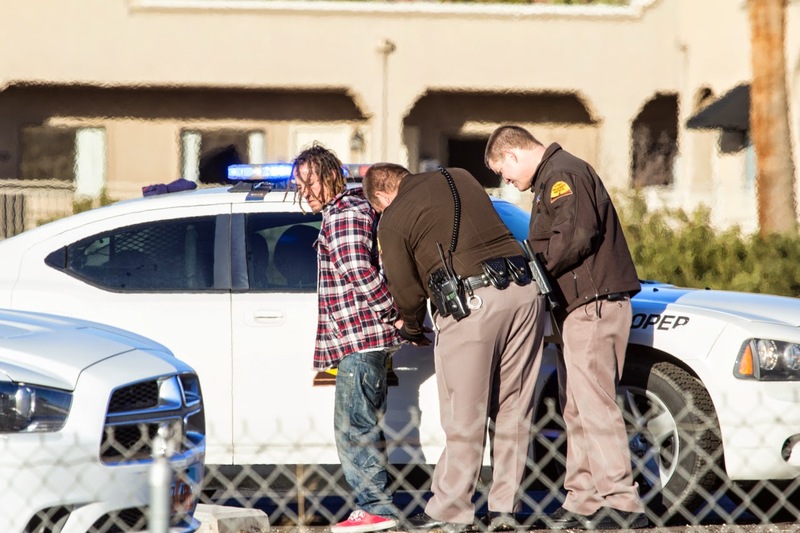 On January 30 of last year, the 34-year old Walker was arrested near St. George, Utah, after leading authorities on a high-speed chase through in Utah, Nevada and Arizona at speeds topping 140 mph, followed by a brief foot pursuit. His black 2007 BMW stopped only after police laid down spike strips to flatten its tires. When police searched the vehicle, they discovered methamphetamine, marijuana, drug paraphernalia and an open bottle of vodka. 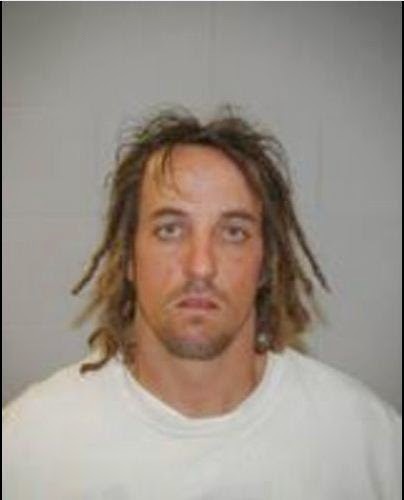 Walker and passenger Raelle McDonald were arrested on multiple charges including evading, possession of amphetamines, marijuana and narcotic equipment, driving under the influence of drugs, open container/drinking in a public place and a liquor license violation. His bail was set at more than $18,000. Walker was suspended by NASCAR in 2007 for violating the sanctioning body’s substance abuse policy and has never reapplied for reinstatement. He ran 28 races in NASCAR’s Nationwide and Camping World Truck Series between 2003 and 2007, with a best finish of eighth in a NCWTS event at Martinsville Speedway in 2007. Stewart-Haas Racing has hired Rex Stump to serve as its technical director, effective immediately. Stump comes to Stewart-Haas Racing after an 18-year career at Hendrick Motorsports, where he founded the organization’s research and development program and has been instrumental in chassis design and technology. Stump graduated from Kettering University (formerly the General Motors Institute) in 1989 with bachelor’s degrees in mechanical and automotive engineering. Upon graduation, Stump worked at General Motors and participated in the Sloan Fellowship program, pursuing a master’s degree in structural analysis from Wayne State University in Detroit. While at General Motors, he began working with the Corvette team in developing the active-suspension of the C5, which was slated to debut in the early 1990s. 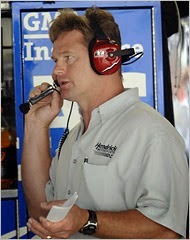 When the active-suspension program was canceled and the C5 was delayed, Stump delved into motorsports, becoming a race engineer for Team Penske in 1991. Working with a group of engineers dedicated to improving the performance of the No. 2 team of driver Rusty Wallace, Stump helped advance Wallace from a two-win season in 1991 to a massive, 10-win season in 1993. By the end of 1993, Corvette had reactivated the C5. Stump returned to General Motors to assist with the project and stayed until the end of 1995, joining Hendrick Motorsports in 1996. One of Stump’s most memorable achievements at Hendrick Motorsports was the design of Jeff Gordon’s race-winning car for the 1997 NASCAR Sprint All-Star Race. Dubbed “T-Rex” for its Jurassic Park paint scheme that featured a Tyrannosaurus Rex, the car dominated, crossing the stripe with a 1.02-second margin of victory. While the car conformed to NASCAR’s rulebook, the design was so advanced that NASCAR requested the team never bring it to the racetrack again. The sanctioning body amended its rulebook shortly thereafter. Stump continued to build race-winning cars nonetheless, as Gordon captured Sprint Cup championships in 1997, 1998 and 2001. In preparation for the 2015 NASCAR Sprint Cup Series season and revised rules that affect race car development and on-track testing, Hendrick Motorsports has named Kenny Francis to the new position of vehicle technical director and Keith Rodden as crew chief of the No. 5 Chevrolet SS team of driver Kasey Kahne. The roles take effect immediately. 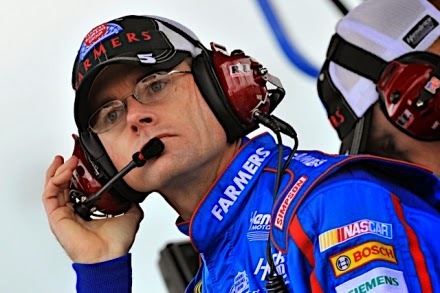 Francis, 44, will oversee organization-wide car design and development with day-to-day management of Hendrick Motorsports’ chassis, body, research and development, on-track testing, vehicle engineering and simulation programs. Reporting to general manager Doug Duchardt, he will serve as the primary liaison between Hendrick Motorsports’ crew chiefs and its vehicle group. Rodden will return to Hendrick Motorsports where he worked alongside Francis in 2012 and 2013 while the lead engineer for Kahne and the No. 5 team. For 2014, he was named crew chief for the No. 1 team at Chip Ganassi Racing where he won the NASCAR Sprint All-Star Race, earned two pole positions and helped driver Jamie McMurray set a career-best season in laps led. “This is a great opportunity for both guys, and it will strengthen our overall organization,” said Rick Hendrick, owner of Hendrick Motorsports. “With the new rules for next year, it’s more important than ever to have a strong vehicle development program. Unifying those efforts for the first time under Kenny’s guidance will be critical to our success. It plays to his experience as a leader, innovative engineer and race-winning crew chief. He’s just tailor-made for it. A native of Jacksonville, Florida, Francis holds a mechanical engineering degree from the University of Florida. Known as one of the most innovative minds in the NASCAR garage, he worked as a team director, engineer and fabricator before posting 17 wins as a Sprint Cup crew chief. Francis has led Kahne’s efforts since the final race of 2005, earning 16 race wins and five Chase for the NASCAR Sprint Cup berths. The pair joined Hendrick Motorsports in 2012. Rodden, 33, has enjoyed a long relationship with Kahne, having worked with the driver as a team engineer from 2004 until 2013. 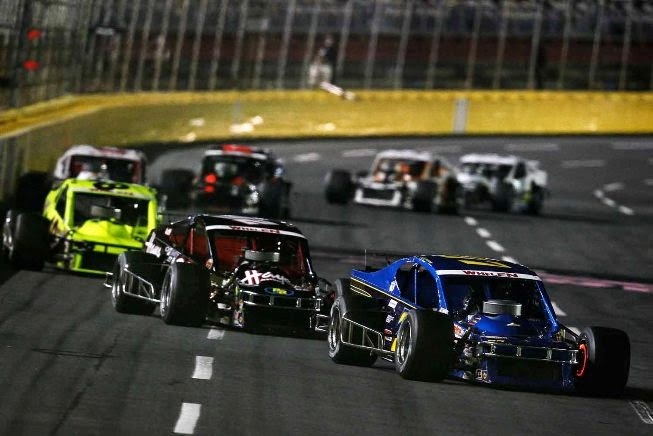 After graduating from North Carolina State University with a degree in mechanical engineering, his motor sports career began in 2003 with owner Andy Petree. 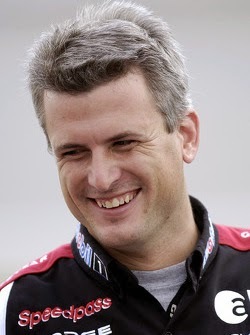 Rodden in 2004 joined Evernham Motorsports to support Kahne’s NASCAR XFINITY Series effort before moving in 2006 to the No. 9 Sprint Cup team, which began an eight-year stint under the tutelage of Francis. “I’m so grateful to Kenny and happy for him and his family,” Kahne said. “He’s one of my biggest supporters and best friends, and I’m excited about his new role. It’s going to give all four Hendrick Motorsports teams the best possible opportunity to win races and compete for championships. While there has been no official announcement of Keith Rodden’s anticipated jump to Hendrick Motorsports next season, Chip Ganassi Racing with Felix Sabates gave a strong indication that a move is afoot today. 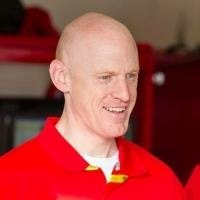 CGRFS announced this afternoon that Matt McCall will serve as crew chief for Jamie McMurray and the No. 1 team in 2015. McCall will assume the role effective immediately to prepare for the 2015 NASCAR Sprint Cup Series season. McCall joins CGRFS from Richard Childress Racing where he most recently has been the race engineer for the No. 31 Chevrolet that made it to the Championship round of the Chase for the NASCAR Sprint Cup, ultimately finishing the season second in the championship point standings. He is also a former driver who has competed in the NASCAR Nationwide Series, NASCAR Camping World Truck Series and ARCA Racing Series. In fact, racing has been in his blood from an early age as he began racing go-karts at age nine and eventually joined the World Karting Association Dirt Series where he would ultimately win the honor of Grand National Champion. He would also go on to race in Super Sport events as well. The Denver, NC native graduated from the University of North Carolina at Charlotte with a major in mechanical engineering. The 33-year-old McCall is also passionate about fitness and holds a third-degree black belt in karate. McMurray will begin his 13th full-time season in the NSCS in 2015. The 2010 Daytona 500 and Brickyard 400 Winner added another big win to his resume this year with a victory in the 2014 Sprint All-Star race. In nearly 450 career NSCS starts he has accumulated seven wins, 11 poles, 121 Top-10 and 52 Top-5 finishes. Rodden is expected to replace Kenny Francis at the helm of Kasey Kahne's No. 5 Farmer's Insurance Chevrolet next season. 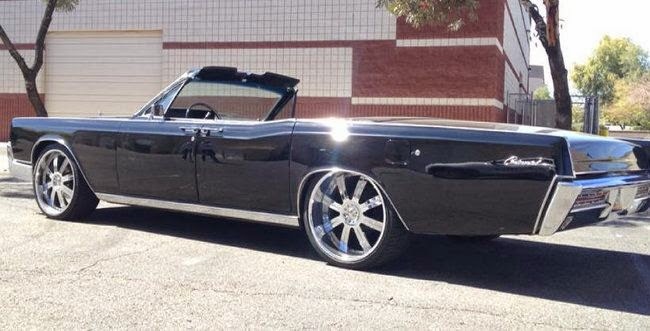 Ray Evernham’s “AmericCarna LIVE” Car Show has announced an initial lineup of celebrity cars and stars expected to join hundreds of classic, custom, and collector cars on the Ingersoll Rand corporate campus in Davidson, N.C. on Saturday, Nov. 29. Ray Evernham, a former NASCAR championship crew chief, host of “AmeriCarna” on Velocity and founder of IGNITE, hosts the AmeriCarna LIVE Car Show presented by Ingersoll Rand and MSC Industrial Supply Co., along with auto enthusiasts from around the East and some of his NASCAR friends. “AmeriCarna LIVE” will support IGNITE, an innovative community center in Davidson for young adults with high functioning autism or Asperger's Syndrome. IGNITE offers activities, skills training, and educational workshops that will foster social, financial, educational, and employment independence for its members. The car show is open to the public from 10 a.m. to 4 p.m. Spectator admission is $5 per person and kids under 10 are free. The car show awards will be presented at approximately 2:15 p.m. The car show also will feature live music from local bands, Q&A with Ray Evernham and local celebrities, silent auction, food vendors and a celebrity car corral. The general public can enter their own cars at http://americarnatv.com/americarna-live/2014/. Veteran motorsports engineer Matt Borland has been named vice president of technology for Haas F1 Team and Stewart-Haas Racing. In this role, Borland will serve as a liaison between the two organizations – Haas F1 Team in the FIA Formula 1 World Championship and Stewart-Haas Racing in the NASCAR Sprint Cup Series. Haas F1 Team will make its Formula One debut in 2016, becoming the first American-led Formula One team in 30 years. Stewart-Haas Racing is a four-car NASCAR Sprint Cup Series team with drivers Kevin Harvick, Danica Patrick, Tony Stewart and Kurt Busch. Stewart-Haas Racing debuted in 2009 and won the 2011 Sprint Cup championship with Stewart and the 2014 Sprint Cup championship with Harvick. Borland will oversee the transfer of Formula One technology to Stewart-Haas Racing while providing Haas F1 Team with deep engineering resources. Concurrently, the highly-respected Borland will serve as a gatekeeper, ensuring the privacy of proprietary information respective to each team. Borland joined Haas CNC Racing, the precursor to Stewart-Haas Racing, in May 2007. He has served in numerous capacities, including crew chief, competition director, technical director and, most recently, vice president of engineering, where he oversaw all of the team’s technical initiatives and research and development projects. Borland came to Haas CNC Racing with significant NASCAR experience, first with Team Penske from the end of the 1999 season through 2006 and then with Michael Waltrip Racing in 2007. Prior to coming to NASCAR, Borland was the race engineer for driver Mark Blundell at PacWest Racing in Champ Car and before that, Borland was at Pi Research, a well-known engineering organization specializing in motorsports. Thank you for a wildly entertaining 2014 season. Strategic rule changes ratcheted-up the level of competition, allowing drivers to race side-by-side – two and three-wide – without falling victim to the dreaded “aero push.” That process will continue in 2015, with a reduction in horsepower, aerodynamic changes and other adjustments, all designed to put more “race” in the race cars. An exciting crop of hungry young drivers burst onto the scene this season, with names like Larson, Elliott, Dillon, Blaney, Wallace and Buescher ensuring that the sport’s future is in secure and talented hands. Your new, 2014 Chase format was an unqualified success, delivering a steady diet of drama and intrigue that began with Dale Earnhardt, Jr.’s popular victory in the season-opening Daytona 500 and carried all the way through Sunday’s mind-boggling finale at Homestead Miami Speedway. An increased emphasis on winning got drivers “up on the wheel” like never before and produced fireworks, both on and off the race track. It struck a fair and appropriate balance between winning and consistency, culminating in a late-race Homestead championship duel that pitted one of the biggest winners in the sport against a driver who had not won a race all season. It brought out the best in your drivers and teams, encouraging hard driving, aggressive strategies and a willingness to roll the competitive dice. It virtually eliminated the term “good point day” from our vocabulary, and made every race worth winning once again. It provided new challenges that many long-established stars were unable to overcome. It allowed smaller teams like Richard Petty Motorsports and JTG Daugherty Racing to bask – albeit briefly -- in the championship spotlight, allowing us to root for the underdog in a sport that has traditionally been dominated by high-dollar super teams. It allowed four hungry drivers to compete for the sport’s ultimate prize in an unprecedented, winner-take-all finale, ultimately crowning a deserving, first-time champion. It out the passion and emotion back into our sport, prompting drivers and crew members to stand up and fight for what they believe in. We’re not looking for a weekly ration of post-race fisticuffs, but this 2014 season offered a much-needed reminder of how this glorious game – properly conducted – can stir our emotions and command our attention. It brought fans back to the grandstands, with sold-out crowds at the season’s final two events and increased television ratings for the first time in recent memory. Yes, there were still empty seats at most events and viewership was down for the season as a whole, but an upward trend at season’s end is cause for encouragement, and something to build on. Just one request, if I may. Ignore the pleas of those who want to continue “tweaking” the Chase in 2015, especially those poor, misguided souls who would institute a separate points system for Chase contenders. No matter what they say, there is a significant difference between finishing 16th and 43rd. The championship points should continue to reflect that reality. Please, NASCAR, resist the temptation to do “just one more thing” by micromanaging a system that succeeded beyond our wildest dreams in 2014. Bask in the success of the season just completed, and leave the Chase alone. Matt Crafton made history Friday night at Homestead-Miami Speedway, as the defending NASCAR Camping World Truck Series champion became in the first back-to-back champion in the history of the series. 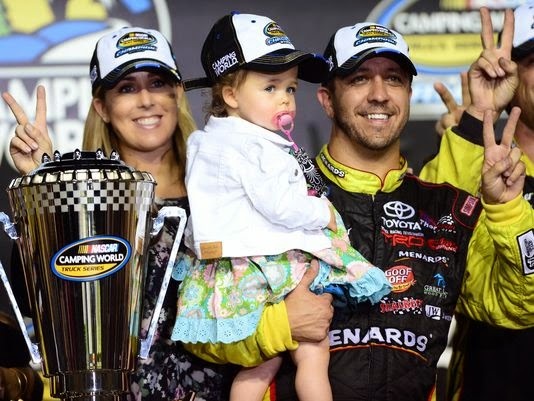 Crafton is the 13th different driver to win the Truck Series title and the fourth to win multiple crowns. Although the idea of Crafton becoming the first back-to-back series champion since the NASCAR Truck Series inception in 1995 has been circulating for several weeks throughout the NCWTS garages, Crafton said he had banished the thought from his mind. Crafton’s ninth-place finish secured the top spot over Brad Keselowski Racing driver Ryan Blaney by a 21-point margin. The 2014 season marked Crafton’s 15th in the truck Series, and he leads the series in consecutive starts with 337. Kyle Busch Motorsports took home the NCWTS Owner’s Championship; the team’s second-consecutive and third all-time owner title. KBM is now the second team in NCWTS history to win back-to-back championships. Their third title leaves them tied with Hendrick Motorsports and Kevin Harvick Inc. for the most all-time championships. 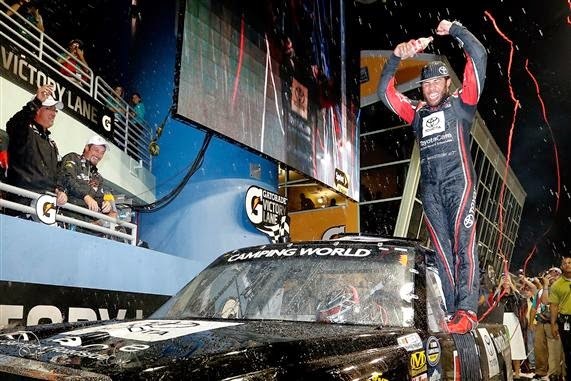 While Crafton claimed the Truck Series championship, Darrell Wallace Jr. won the 19th Annual Ford EcoBoost 200, his fifth victory in 44 NCWTS races. Four of those victories came this season. Kyle Busch Motorsports has announced the addition of Justin Boston and Matt Tifft to the team’s driver lineup for the 2015 NASCAR Camping World Truck Series season. Boston will run a full-time schedule competing for the Sunoco Rookie of the Year Award, while Tifft will run a six-race schedule and share the driving duties behind the wheel of his Tundra with KBM owner-driver Kyle Busch and Joe Gibbs Racing developmental driver Daniel Suarez competing for the Truck Series Owner’s Championship. Boston completed his second full-time season in the ARCA Racing Series in 2014, finishing fifth in the championship standings and collecting wins at Toledo (Ohio) Speedway in May and Madison (Wis.) International Speedway in August. In addition to his two wins, he collected three poles, 241 laps led, seven top-five and 13 top-10 finishes resulting in an average finish of 10.6 across 20 starts this year. Overall in two seasons of ARCA action, the Maryland native has posted two wins, five poles, 15 top-five and 29 top-10 finishes across 41 starts and finished inside the top-five in the championship standings both years. The 25-year-old also made two NASCAR Nationwide Series starts for Joe Gibbs Racing in 2014, finishing ninth in his series debut at Kentucky Speedway in Sparta and following it up with a 12th-place finish at Dover (Del.) International Speedway. He made one Truck Series start this season, but was relegated to a 30th-place finish at Bristol (Tenn.) Motor Speedway getting caught up in a late-race accident. 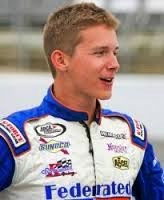 Tifft has made 12 ARCA Racing Series starts the last two seasons, registering six top-five and eight top-10 finishes. The Ohio native registered a career-best runner-up finish in this year’s September event at Kentucky Speedway in Sparta. In addition to his time in the ARCA Racing Series, the 18-year-old has competed in the NASCAR K&N East and West Series, posting one top-five and nine top-10 finishes across 24 starts. The University of North Carolina at Charlotte freshman has competed in two of the last three Truck Series races this season, including an eighth-place finish at Martinsville (Va.) Speedway in September, and is entered in the series finale at Homestead-Miami (Fla.) Speedway this weekend. Announcements on truck numbers, sponsors and crew chiefs for both drivers are forthcoming. 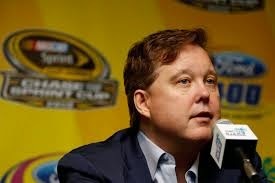 NASCAR Chairman Brian France said today that the sanctioning body will take a tough stand on domestic violence, but not at the expense of due process. 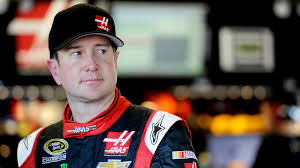 With Stewart-Haas Racing driver Kurt Busch being investigated for domestic assault by the Dover (Del.) Police Department and Rep. Jackie Speier (D-Calif.), calling on NASCAR to suspend him, France told reporters today at Homestead Miami Speedway that the organization will wait until actual charges are filed before acting. “It's a very sensitive topic today, rightfully so,” said France. “And so, (it’s) not surprising that some members of Congress and other leaders might have some strong views on what we should and shouldn't do. In the aftermath of high-profile domestic violence cases involving NFL players Ray Rice and Greg Hardy in recent weeks, France said the sanctioning body understands the need to send a clear message to its drivers and teams. Stewart-Haas Racing has issued a statement today, in the aftermath of calls by United States Congresswoman Jackie Speier (D-Calif.) that Busch be suspended, pending the outcome of a domestic violence investigation. "The allegation made against Kurt Busch is one Stewart-Haas Racing and its partners take very seriously,” said the team. “We have spoken to Kurt in depth regarding this matter and he has vehemently denied that it happened and assures us there is no truth to it whatsoever. We are monitoring this situation closely and will let the authorities continue with their thorough investigation. At this point in time we are taking Kurt at his word and his status with the team is unchanged." Driscoll said Busch grabbed her face and repeatedly smashed her head against the wall in his motorhome at Dover International Speedway on Sept. 26, leaving her with severe pain, difficulty breathing and bruising on her neck. Since those allegations were made public last Wednesday, Dover Police public information officer Cpl. Mark Hoffman said his department has interviewed a number of witnesses associated with to the case, but not Busch. Hoffman said the department’s willingness to accommodate Busch’s schedule is not related to "who he is or what he does for a living," adding that the case is complicated by Driscoll’s decision to wait approximately six weeks to file a police report. Driscoll has said her delay stemmed from an ongoing dispute with her ex-husband over the custody of their son. In a related story, a member of the United States House of Representatives has criticized both NASCAR and Stewart Haas Racing for failing to suspend Busch from competition until the case is resolved. SI.com is reporting that Rep. Jackie Speier (D-Calif.), wrote to NASCAR president Mike Helton and Stewart Haas owners Tony Stewart and Gene Haas this week, calling NASCAR and SHR’s response “totally inadequate. “Despite the severity of the criminal allegations against Mr. Busch,” wrote Speier, “I am disappointed to see that NASCAR and Stewart-Haas Racing have not taken any action.” She said NASCAR’s refusal to suspend Busch and driver Travis Kvapil – who received two years’ probation and community service as part of a deferred domestic assault prosecution agreement in October of 2013 – “calls into question the enforcement policies exercised by NASCAR. "NASCAR would rather let Mr. Busch drive for the remainder of the racing season than take a stance on violence against women," wrote Speier. "While he rounds the track, the legal processes for his domestic violence charges race forward as well. Until his legal proceedings end, NASCAR should put Mr. Busch's car in park. The charges are horrifying, and NASCAR's inaction sends a clear signal to drivers that owners do not take these violent actions seriously." COMMENTARY: Stop Sissifying My Sport!